These presentation slides 25532 are complete compatible with Google Slides. Simple download PPTX and open the template in Google Slides. 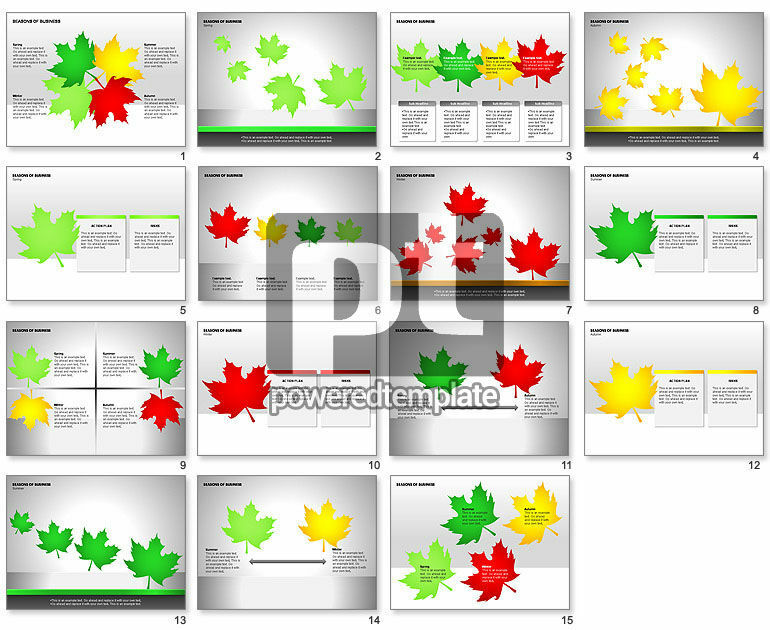 Nice diagrams with leaves for presentations on business analysis, business strategy analysis, business downfall or crisis prevention, etc.